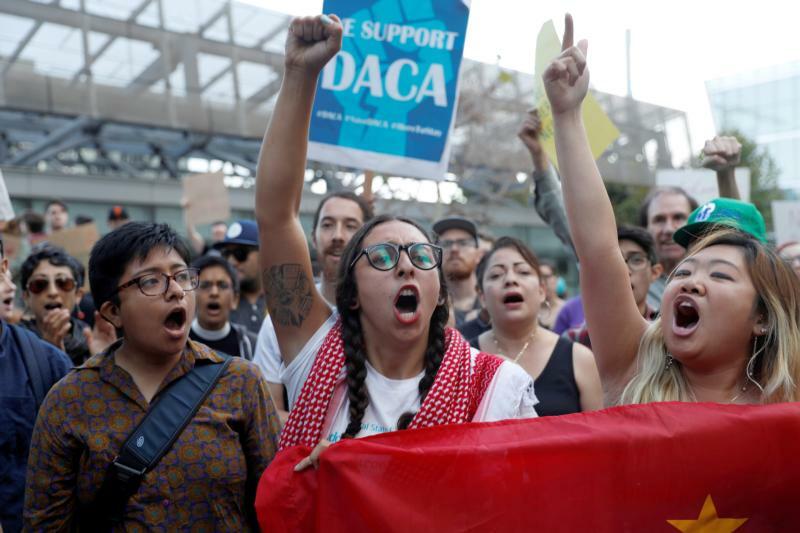 SAN FRANCISCO (CNS) — A federal appeals court ruled Nov. 8 in favor of keeping in place the Deferred Action for Childhood Arrivals, or DACA, rejecting the Trump administration’s efforts to end it. The decision, made by a three-judge panel of the 9th U.S. Circuit Court of Appeals based in San Francisco, upheld a lower court’s preliminary injunction blocking the federal government’s attempts to stop the program implemented by the Obama administration in 2012. “We conclude that plaintiffs are likely to succeed on their claim that the rescission of DACA — at least as justified on this record — is arbitrary, capricious or otherwise not in accordance with law,” the court ruled. Lawsuits by California and other states challenging the Trump administration’s decision to end DACA will continue to move ahead in federal court while the injunction remains in place. Although several trial judges have found fault with Trump’s decision to end DACA, this decision was the first from a federal appeals court, and it could move the issue to the Supreme Court. The Trump administration has already asked the Supreme Court to review the injunction keeping DACA in place. The U.S. Conference of Catholic Bishops in 2017 called Trump’s efforts to end DACA “reprehensible” and a move that caused “unnecessary fear for DACA youth and their families.” The USCCB, along with a variety of Catholic groups, organizations and religious orders, have called for a solution to help these young adults.